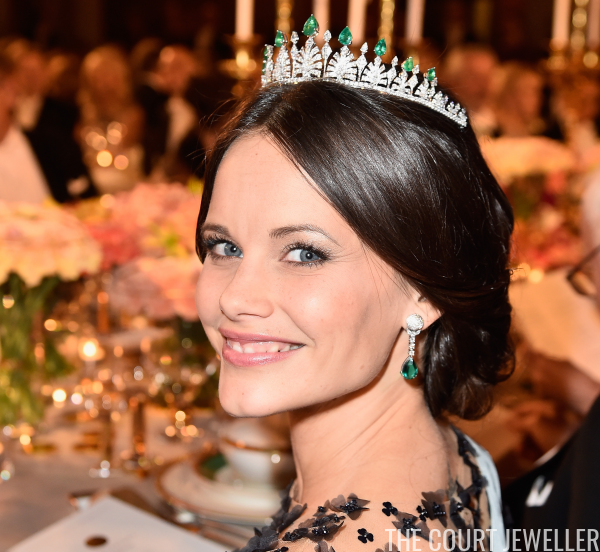 Courtesy of Jenny Alexandersson's Aftonbladet royal blog, we've got new details on the provenance of Princess Sofia of Sweden's Emerald Palmette Tiara. Queen Silvia offered up one of her necklaces to be dismantled to make the tiara. According to the blog, the necklace was originally given to Silvia by a Thai prince, although the magazine doesn't specify which royal was the gifter. 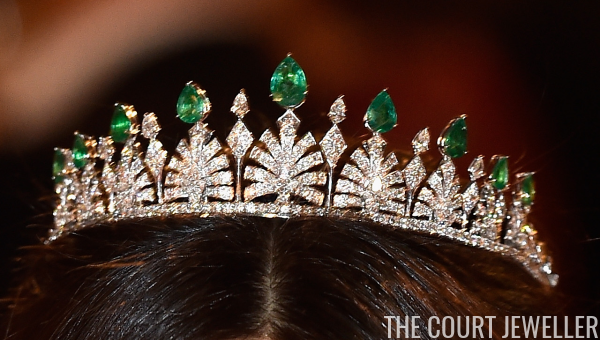 Queen Silvia has several sets of emerald jewelry, and the blog doesn't identify the exact necklace that was used to make the tiara. Thailand was also apparently the place that the new tiara was made. The blog entry states that Silvia sent the necklace back to Thailand to be dismantled and redesigned, mostly because she wanted to be able to keep the piece a secret until the wedding day. Alexandersson's information about the tiara comes from Svensk Damtidning. The magazine has a new editor-in-chief: Johann T. Lindvall, who used to be the royal reporter for one of the country's biggest newspapers, Expressen.